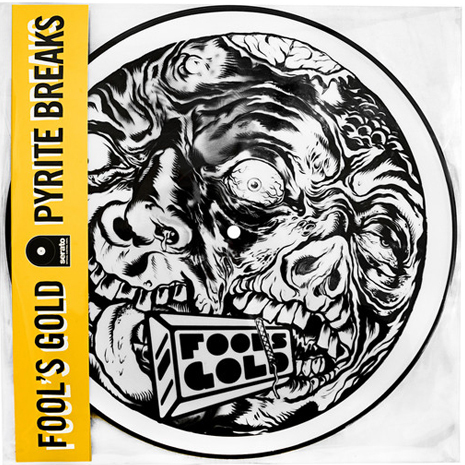 Inspired by the anarchic spirit and dirtbag aesthetic of classic DJ battle records and turntable weapons, Pyrite Breaks includes two 12″s of rare and unreleased instrumental loops, scratch noises, and acapella samples from the Fool’s Gold vaults, with the Serato control tone pressed on the flipside. It all comes wrapped in gloriously insane picture disc illustrations by cult artist Lamour Supreme, packaged in a clear slipcase along with a pair of black FG logo slipmats. Limited edition pressing of 2,000 copies.